How Does Disruptive Innovation Help Sacred Communities? There was an unlikely group of guests at last month’s Tribeca Disruptive Innovation Awards: ten rabbis. This cohort (of which I was fortunate to be a part) was present through the Rabbis Without Borders program of Clal. As one of the few clergy among the attendees, there was an unspoken, but invaluable, question for me: Can religious communities survive disruptive innovation? Perhaps ironically, our very presence as standard-bearers of a religion that predates the Bronze Age was itself disruptive to the 800 participants, largely from across high tech, financial, governmental, and entrepreneurial sectors. In my mind, being a disruptive presence led to some of the most energizing dialogues and discussions that I’ve had as a rabbi – and hopefully for our interlocutors, as well. Disruptions in our world are forcing us to clarify our missions and the values that draw us together. What seemed evident to many of my fellow rabbis was just how much technological (and related) social change means for our communities – and how much it’s already forcing a re-articulation of religion and the institutions that undergird it. We need new terms, new ideas and, as The Wisdom Daily‘s Irwin Kula aptly put it, better religious research and development (R&D) to guide calculated risk-taking. Otherwise, we risk stagnation, which is an existential threat in an era of rapid social change. A key challenge facing many religions is the notion of community itself. When individuals can personalize, customize, and adapt just about everything in their lives, how are we to uphold communal standards, or live out communal values? Providing the corporate corollary to this question, a dynamic session called “Brand Experience: Big Wisdom or Big Data?” featured top-flight marketing professionals from international brands. It highlighted the extent to which a shift towards individualism and free thinking is forcing changes in the marketplace. As Manoj Fenelon (PepsiCo’s director of foresight) expressed, there’s been a profound shift from “marketing” to “advocacy.” The former involves relaying messages to a willing cohort. The latter means interacting with and convincing individuals to do something and to join a larger cohort of consumers. The former presumes a shared identity, while the latter presumes a high degree of personal latitude and the need to be persuaded as an individual. Many religious leaders crow that renewed individualism is tantamount to renewed narcissism. This concern might not be entirely misplaced. But the private-sector marketing experts who graced us with their insights weren’t suggesting the inability to connect with anyone but the individual, nor the obsolescence of communal identity. Instead, they underscored the need to emphasize individualism and view groups as composites of individuals who come together (or emerge) for a shared purpose. Certainly, our religious traditions see significant benefits to enduring communities living out ideals and reinforcing shared values as a collective. But so, too, have we long embraced individualism within a communal setting. These marketing experts were not indicating an end to group connection, but underscoring an end to the kind of ‘broadband’ approach that acts under the assumption that people will join or remain parts of communities simply because they are told to, or because their fellow community members receive the same messaging. Shared messaging does not translate into shared identity. Compelling ideas and precepts are the central draw for individuals to join and remain part of communities. The barriers to communal entry (and exit) have been reduced through new technology and the society being significantly reshaped by it. To be sure, the parallels between the private sector and the life of religious communities are imperfect. Still, the individuals who drive change within both are undergoing comparable changes in mindset, in response to comparable changes in the way we live. If anything, the disruptions in our life and our world are forcing us to clarify our missions and the values that draw us together. People are drawn together more than ever before by ideas. But what is religion itself, other than a vehicle through which to lead a good life, reinforced by community, and based on central ideas about humanity, our world, and eternal questions that guide our search? Religion, too, is driven by ideas. 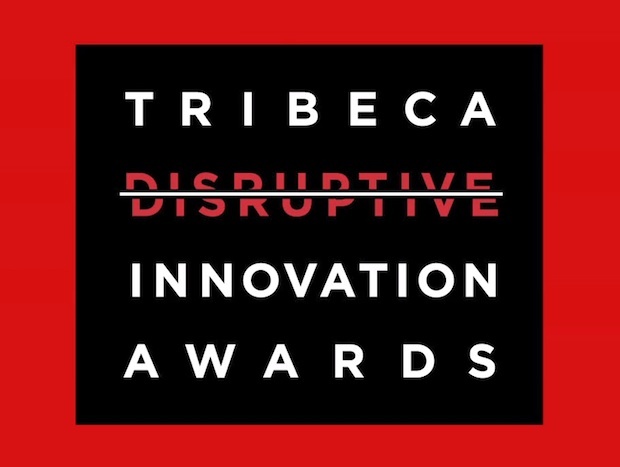 What stood out to me most, as an unlikely participant in the Tribeca Disruptive Innovation Awards, was not merely the vulnerability of religion in this time of social change, but the strength of religion – if it remains attuned to the change and disruption taking place all around it. So long as religious ideas are compelling, so too will be our religious community. So long as religious ideas are out of touch, or unresponsive to social change, so too will be our religious communities. We are entering a time of R&D-driven community. We are entering a time of R&D-driven religion. Joshua Stanton is Rabbi of East End Temple in Manhattan and a Senior Fellow at CLAL - The National Jewish Center for Learning and Leadership. He serves on the Board of Governors of the International Jewish Committee for Interreligious Consultations, which liaises on behalf of Jewish communities worldwide with the Vatican and other international religious bodies.